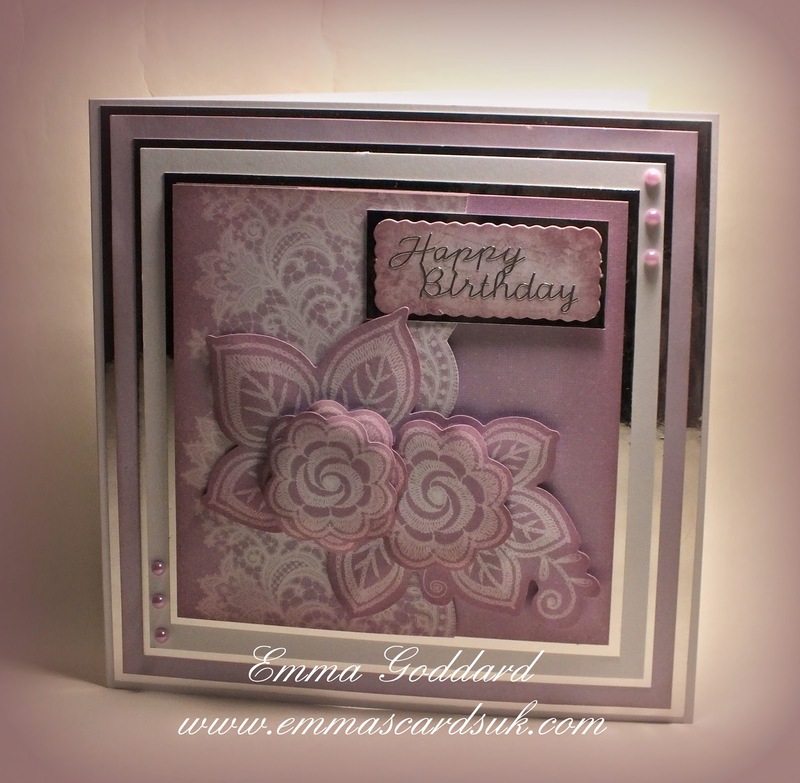 This 8x8 card I made using the Lavender Rose collection from Kanban. I just matt and layered with silver mirror card, whit and lavender card. I cut the lace section off the backing card and raised it with foam pads, over lapping the other half of the card, distressed using Vintage Rose distressing ink and added a sentiment. The challenge is for group members only but you are more than welcome to join us if you are not a member.